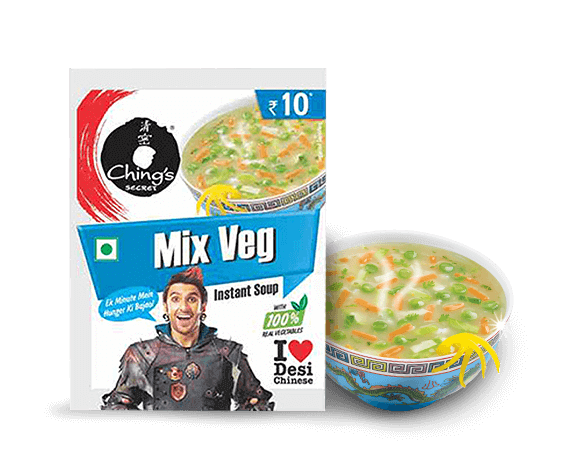 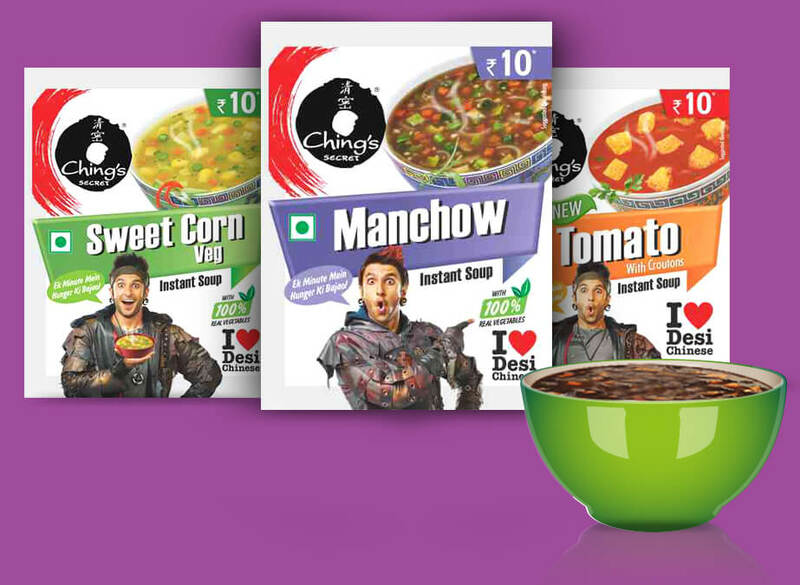 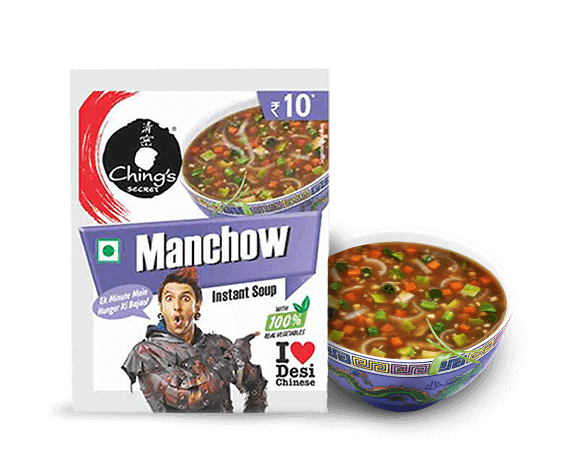 Discover life beyond mushy Masala noodles with Ching’s Instant Noodles that are non-sticky and addictively spice-a-licious! 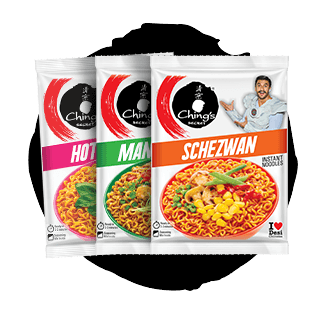 Our food experts have crafted Ching’s Instant Noodles combining the right ingredients and flavours to bring you the best. 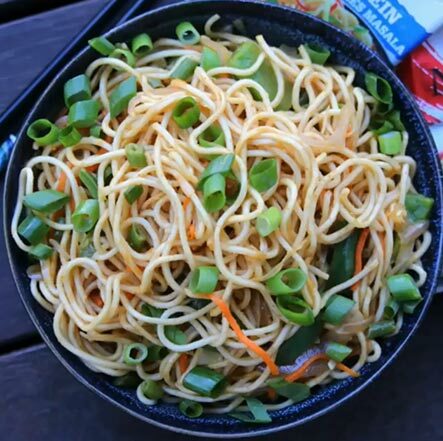 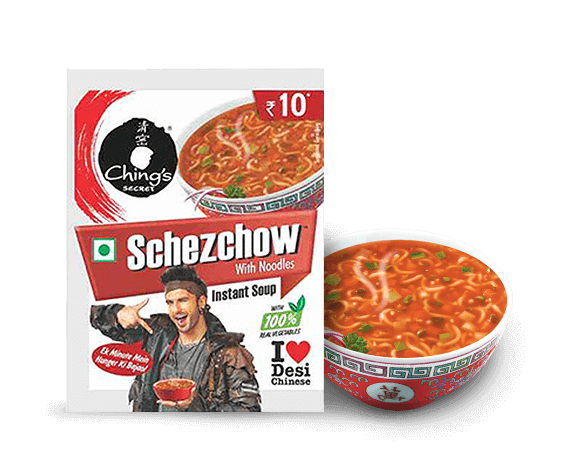 Ching’s (flavour name) Instant Noodles is a fun and tasty way to beat all your hunger pang. 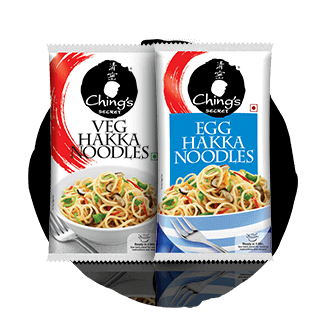 Be it snacky or wacky, Chings has something for everyone's taste buds! 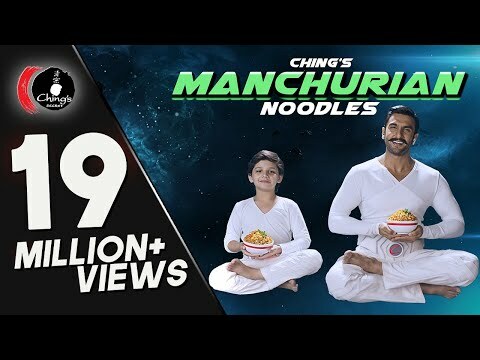 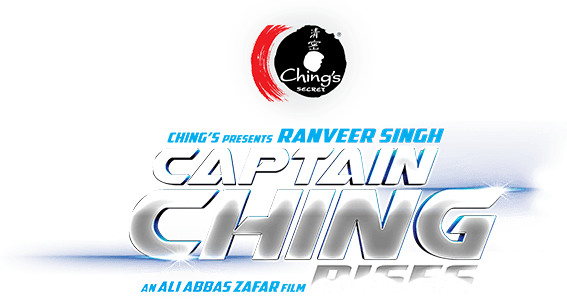 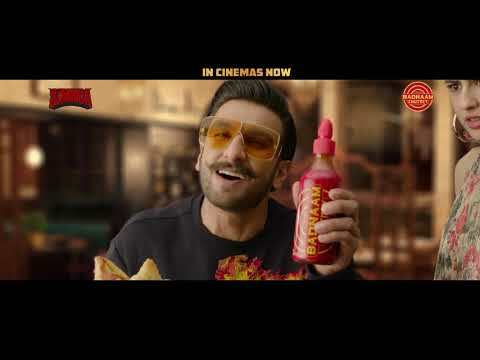 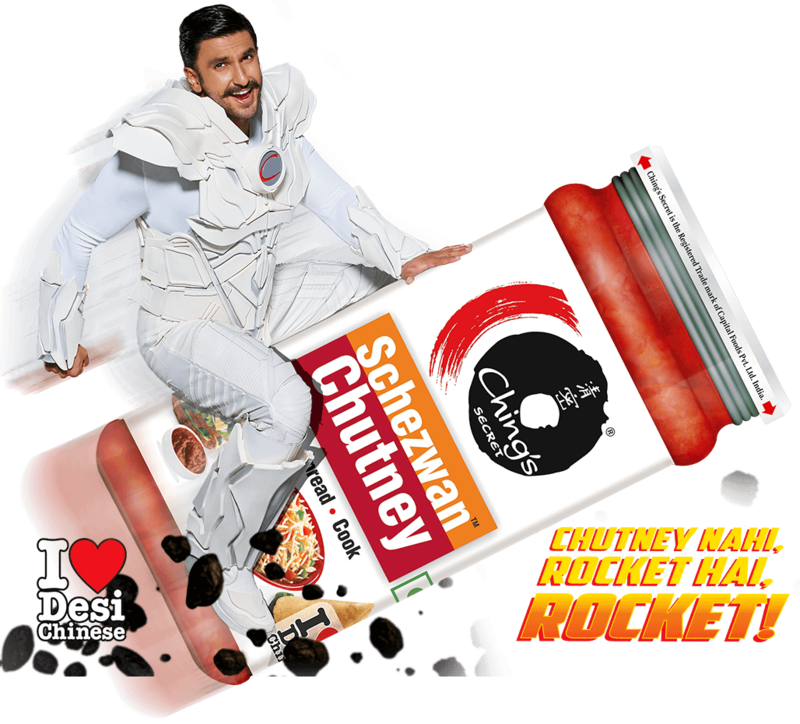 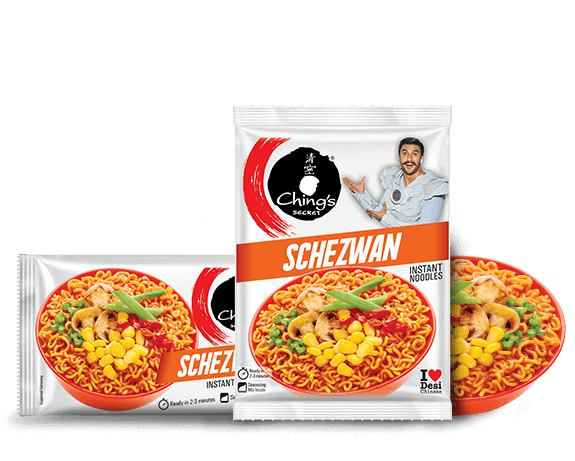 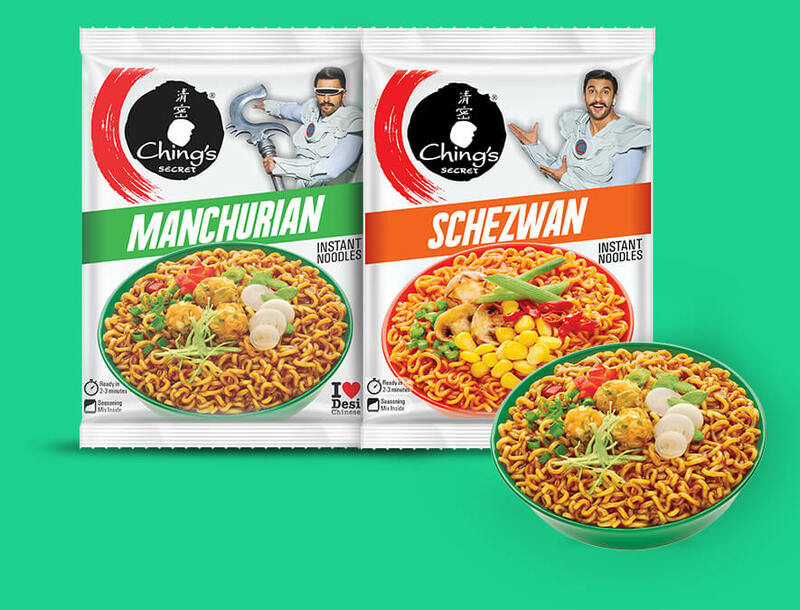 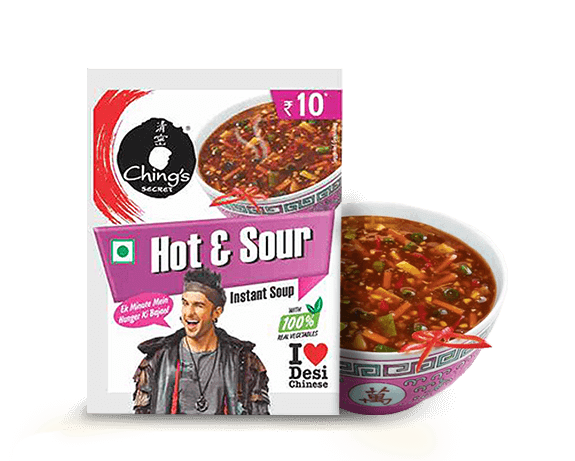 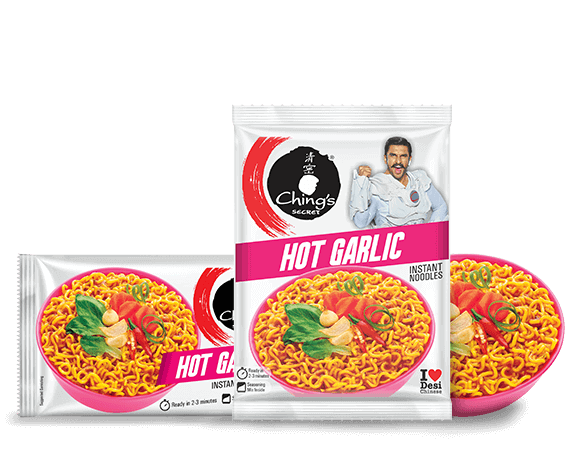 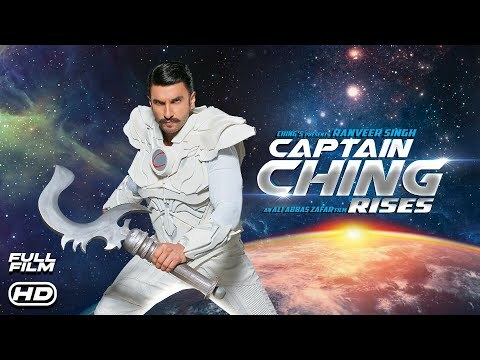 This is why everyone from the legendary Sridevi, the peppy Ranveer Ching and the creative Chef Harpal swear by Ching's. 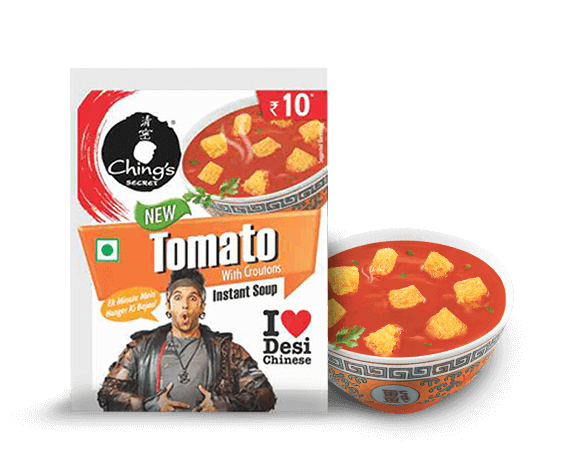 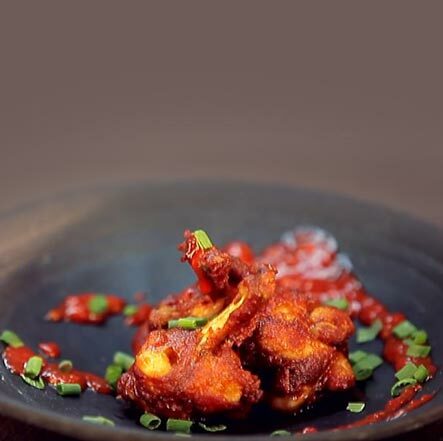 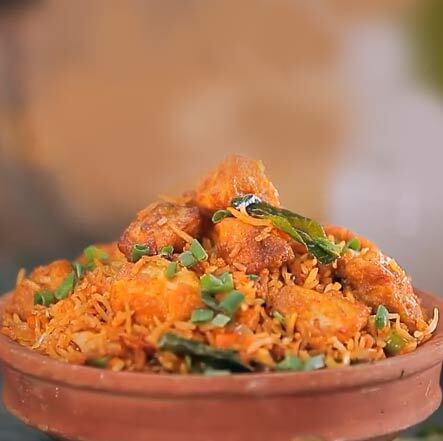 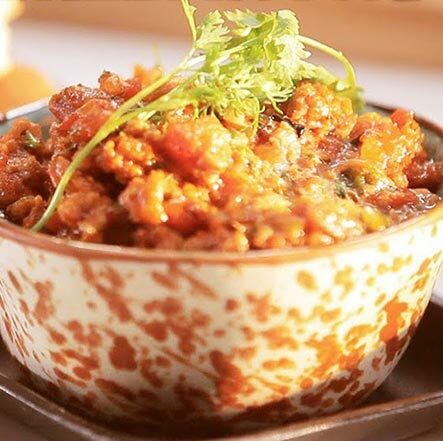 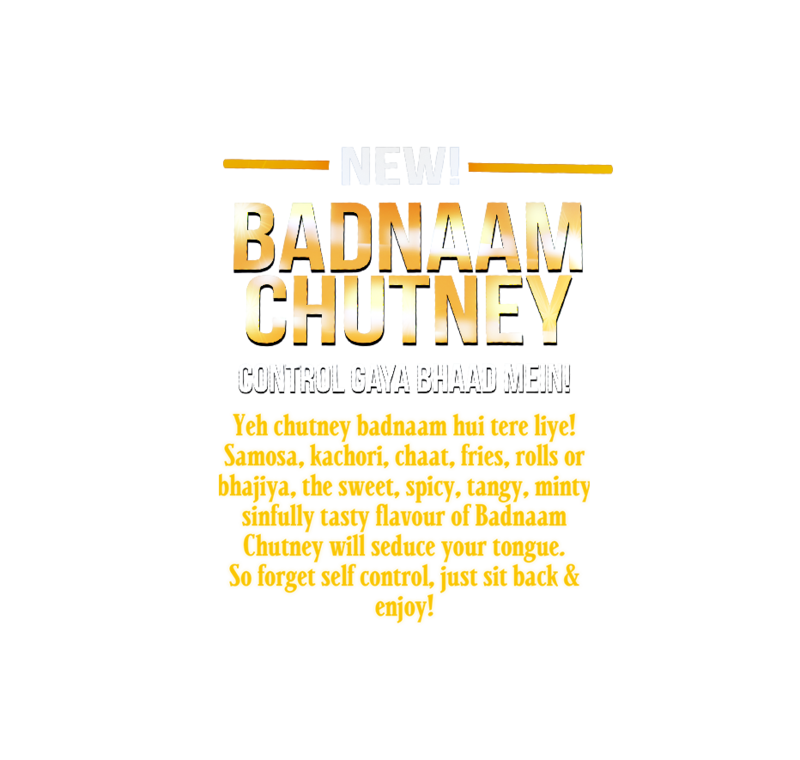 Experience an all-new World of Desi Chinese today! 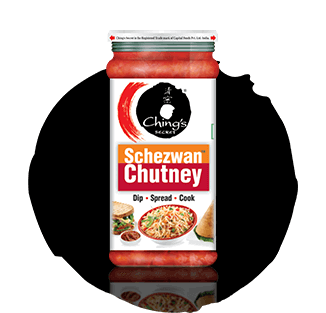 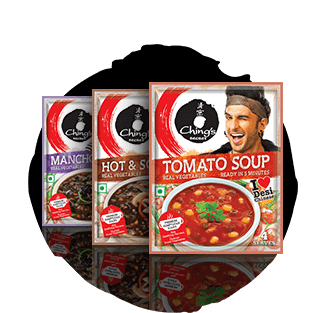 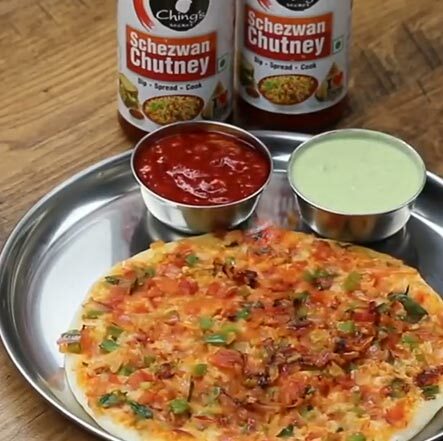 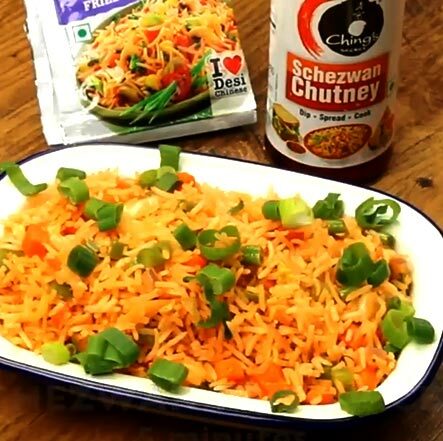 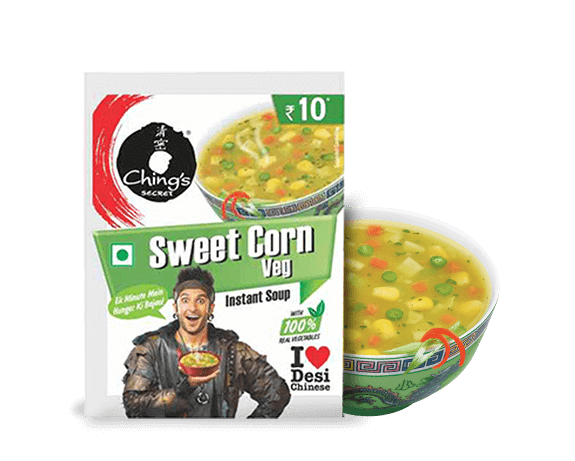 Products and flavours that Ching’s Secret offer are in a category of their own and unmatched by any other food brand in India. 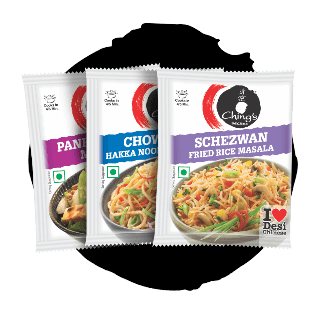 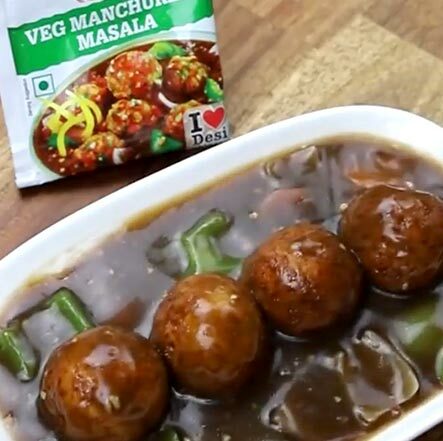 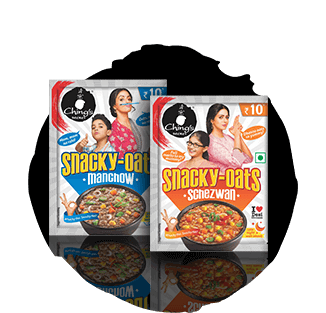 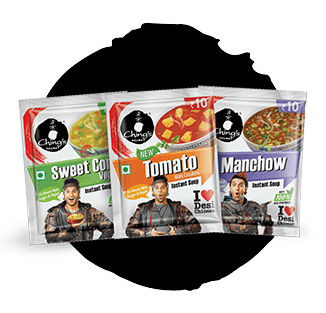 They include Instant Noodles, Instant Soups, Cook Up Soups, Snacky Oats, Masalas, Schezwan Chutney, Sauces, Hakka Noodles & Sauce Mixes. 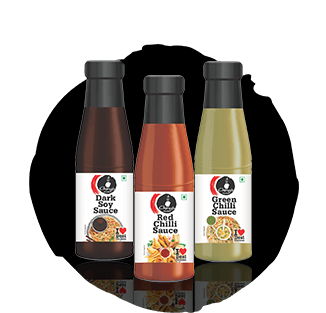 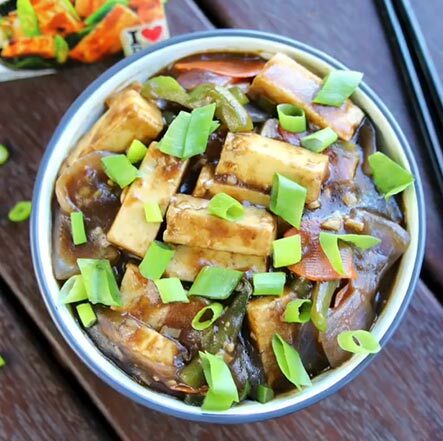 Watch and learn recipes for every mood and occasion with Ching’s Secret products which guarantees the perfect taste and is also very easy to make.